The Bay Area: Ground Zero for Earth Day? Gaylord Nelson, the Wisconsin senator who created Earth Day, never envisioned it as an annual event. In 1970 he proposed a national teach-in, a day for universities across the country to hold “soul-searching" discussions about environmental issues. But the day was such a hit—35,000 speakers and 20 million participants attended over 12,000 events across the country—that he thought it should be an annual event. And the nation agreed. This April 22 is the nation's 46th Earth Day, the world’s most celebrated secular holiday, according to the Earth Day Network. But the ramifications of the first Earth Day’s success were much larger than the holiday itself. “There really wasn’t an environmental movement before Earth Day,” says Adam Rome, a professor of environmental history at the University of Delaware, and author of The Genius of Earth Day. Most of the major environmental regulations and organizations we have today, including the Environmental Protection Agency, the Clean Air and Clean Water Acts, the Environmental Defense Fund, and the National Resources Defense Council, grew out of that one day in April 1970. Bringing people together to talk about the environment as a whole and how it could be protected had a powerful impact on nearly everyone involved, including U.S. lawmakers. On the original Earth Day, Congress shut down and two-thirds of its members spoke at Earth Day events. Nixon formed the Environmental Protection Agency nine months after the event. The Clean Air Act was passed within the year, and the Clean Water Act put into place just two years later. Meanwhile, in the Bay Area, environmentalism was already a few steps ahead of the rest of the nation, but the energy from Earth Day gave the movement momentum that's still carrying it forward today. 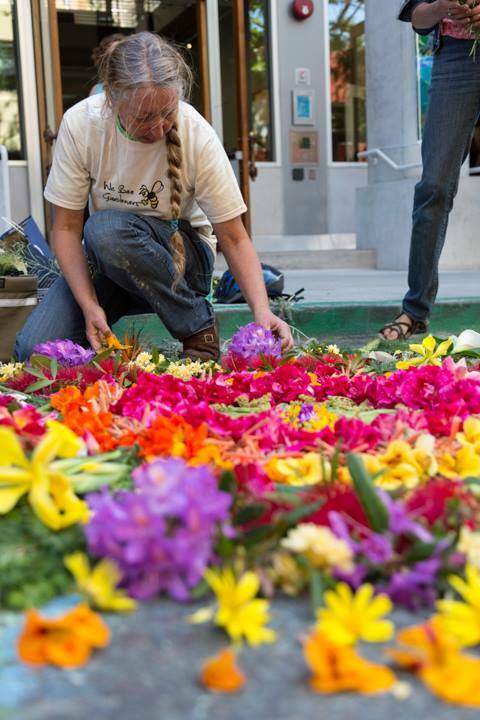 “Part of what’s amazing about Earth Day in the Bay Area is in many ways this is where the environmental movement in the U.S was born,” says Jackie Hasa of the David Brower Center in Berkeley. Long before Nelson had his environmental awakening in Santa Barbara, John Muir in Martinez dreamt up the idea for the National Parks Service. Frederick Law Olmsted in San Francisco proposed Golden Gate Park and Caroline Livermore in Marin successfully campaigned to preserve green space on Angel Island. This conservationist, activist spirit of the Bay Area may have been part of Nelson's inspiration. He and the student he selected to coordinate the first Earth Day, Denis Hayes, both spent some of their formative years in the Bay Area—Nelson went to college at San Jose State University and Hayes went to Stanford. 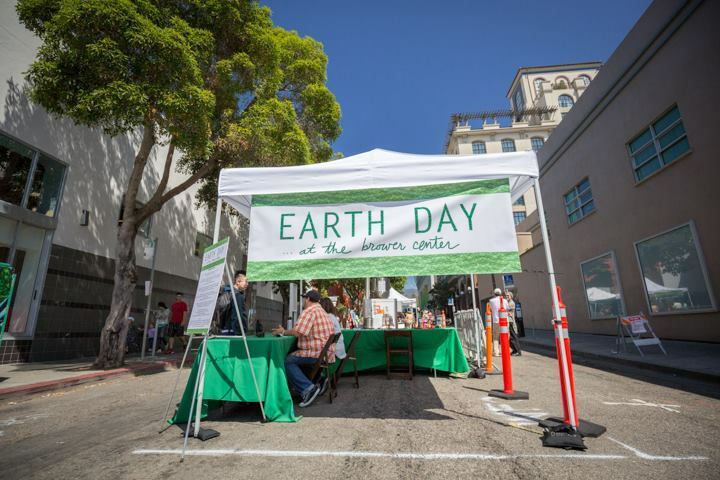 This event, and the area's long history of conservationism, put the Bay Area on the map as a center of environmental action before the first Earth Day and it has remained that way ever since. But Earth Day 1970 injected new energy and enthusiasm--the Sierra Club, started by John Muir in San Francisco, tripled in size, and, led by David Brower (a Berkeley native) became an overtly environmentalist organization. A group of green-minded San Francisco lawyers, inspired by all of the Earth Day action, formed Earthjustice in 1971. Today, 45 years later, Bay Area cities consistently rank among the greenest in the nation. But cities and individuals can always do more, and Hasa and Rome agree the most important function of Earth Day is to provide a day of reflection, to "think about the issues we are still facing today, like climate change," Hasa says. Rome says this is what Nelson had in mind. "What was so great about the first Earth Day was it forced people to ask themselves, ‘Why does this matter? What's at stake? What can I do?’," he says. "Nelson trusted that if people just got together and talked about environmental issues, they would realize they cared more than they thought." Hasa hopes that this Earth Day, Bay Area residents will take this opportunity to "both celebrate nature, and think about how we can be even better stewards of nature in the future." Today, the Bay Area still is "a hub for the movement, both for the nation and the state, " she says. "So the ripple effects of what happens here have a big impact." Or find Earth Day events across the country at Earth Day Network.